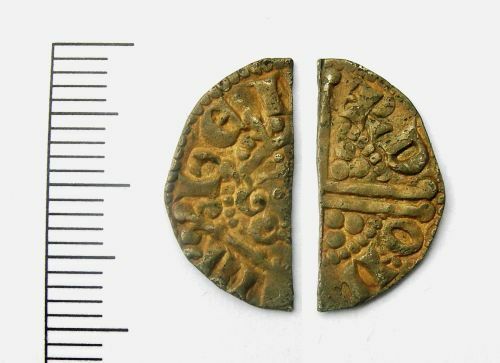 Medieval silver cut halfpenny of Henry III (1247 - 1272). The coin is in fair condition, is 17mm in diameter and weighs 0.61g. Medieval silver cut voided long cross halfpenny of Henry III (1247 - 1272). The coin is in fair condition, is 18mm in diameter and weighs 0.61g. Medieval silver cut voided long cross halfpenny of Henry III (1247-1272). The coin is in fair condition, is 17mm in diameter and weighs 0.65g. Medieval silver cut Irish halfpenny of Henry III (1247-72). The coin is in fair condition, is 18mm in diameter and weighs 0.63g.